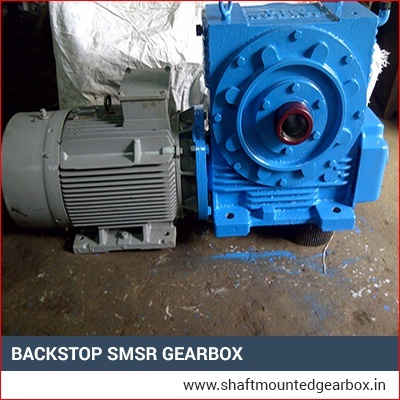 We manufacture a wide variety Backstop SMSR Gearbox, Cement Plant Gearbox of numerous specifications and also customize them as per the requirements of the clients. They have a feature of backstop which averts the conveyor from returning when stopped abruptly due to some reason. 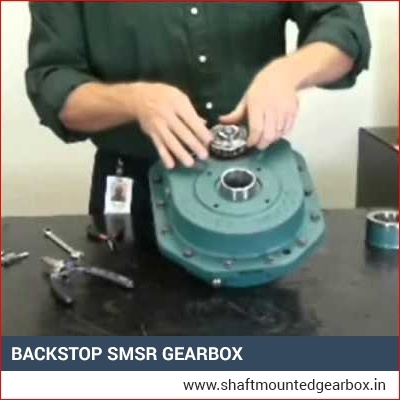 We are the leading Backstop SMSR Gearbox supplier and supply them to the cities such as Hyderabad, Noida, Pune, Surat and Kolkata for diverse industries such as Cement industries, Paper and pulp industries, Iron and steel industries, Textile industries, Chemical industries, plastic industries, Mining etc. 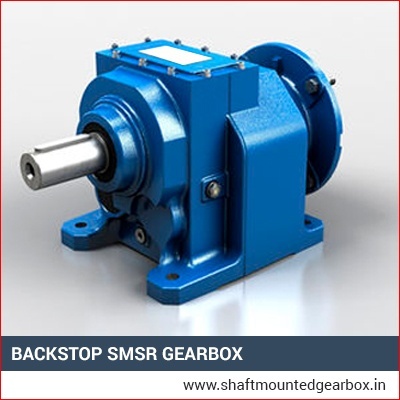 Such gear boxes eliminate the constraint of foundations as well as couplings. Also there is no layout concern. These offer ideal and lasting alignment of gearbox and allow the appropriate setting of the motor.